It began with Allen Iverson. During the 2000-2001 season, the then-Philadelphia 76ers star wore a sleeve to help with the bursitis developing in his elbow. Shortly thereafter it became a popular fashion statement among fans. 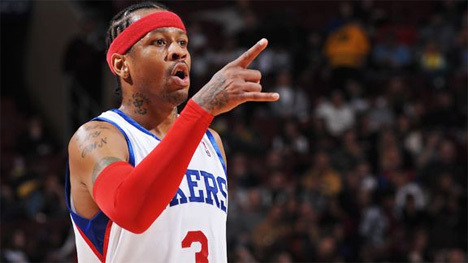 Iverson continued to wear the sleeve after his elbow healed, possibly as a placebo against other injuries. 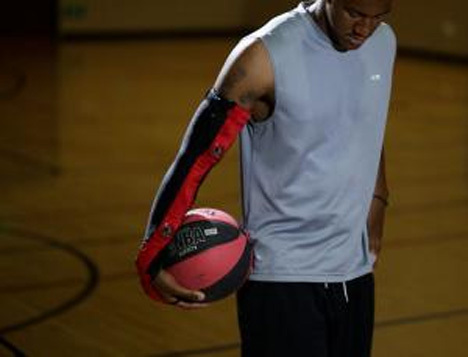 One California-based tech company is taking the ‘basketball sleeve’ to the next level. Based on the athletic principle of muscle memory, Vibrado has created a sleeve with accelerometers located at the hand, forearm and bicep. These sensors trace a player’s movement and compare them to those of a perfect jump shot. The data produced by the accelerometers is immediately perceptible by lights and sounds that the sleeve gives off. It is also transferred to a computer program for analysis on things like shot arc and free throw technique. Now coaches can tell the exact point at which a player’s jump shot malfunctions.